The Southwark Playhouse is one of the most welcoming and stylish theatres in London, it holds so much charm and the work they stage is just what we need in a city of commercial theatre. Morphic Graffiti brings a re-imagined production of William Wycherley’s The Country Wife to the large space, reset in the world of the 1920’s and the bright young things it brings some interesting, good and not so good, ideas to the table. The plays themes are totally relevant in our society today; with the #MeToo campaign really spreading awareness we are shocked in the attitude of some men but celebrate the free attitudes of the ladies in this piece. It’s a story for women of all eras and that’s where the concept of this piece succeeds. However, there is something about this interpretation of the play that just doesn’t sit right, the text doesn’t seem to have been adapted well enough to match the concept and I’m not sure the direction really reflects it much either. This play is clearly meant to be for much bigger and open spaces, so to take it into a relatively small studio space has its challenges. There are conventions in this piece that haven’t translated very well in this interpretation; the asides, for example, were hilarious and informative but after a while the constant lighting changes and freezes didn’t feel natural. Also, the slapstick humour that comes in the back end of the play was shrunk and didn’t leave the desired ending we wanted. 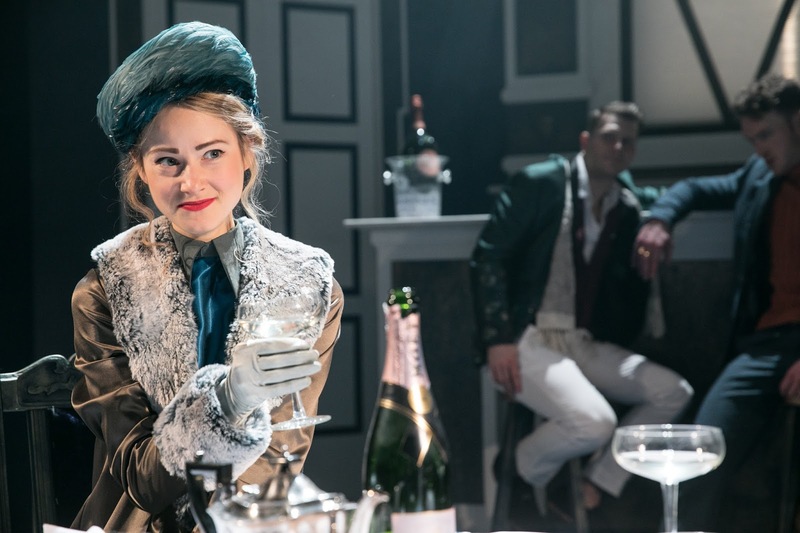 The inconsistency in the design was also quite off putting, Stewart Charlesworth seems to have stayed true to the period in his designs with the ladies, but the men seem to be sporting costumes straight from ASOS. It was too modern, and I failed to be transported to the 1920s because of this. The music choice also blurred those lines even more because the design wasn’t consistent and with the addition of a post-modern jukebox soundtrack these things didn’t match up. The concept didn’t have enough of a through line in the piece. The strengths of this cast are in the women; Nancy Sullivan gives a stand out performance as Margery Pinchwife. She has done what every brilliant classical actress tries to do, she makes the language accessible and understandable with a heart-warming and comic characterisation that charms the audience. 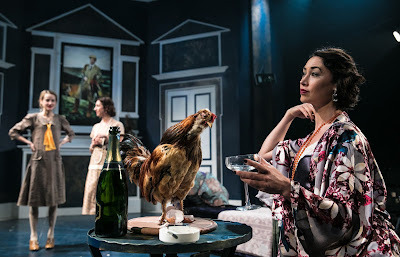 Siubhan Harrison also gives a wonderful performance; this holds many of the reasons why she is one of the best actresses in theatre of our time. Daniel Cane and Joshua Hill are the stand out gentlemen of the night, Cane has brilliant comic timing and connection to the text and Hill managed to update and relax the text which meant he held the audiences trust whenever he was on stage. Eddie Eyre was the leading man and I’m afraid to say he just didn’t live up to the part. 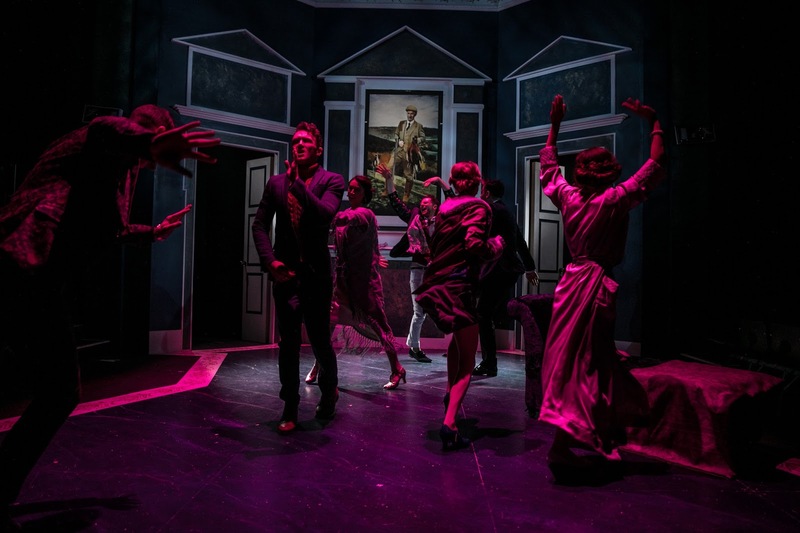 His connection with the text and his other actors felt slightly artificial and he relies too much on his pecks that he does William Wyicherley’s intelligent and comedic writing. 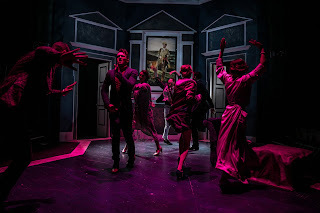 There was a slight feeling of this show being under rehearsed, the actors often knocked things over and cut of or overlapped each other’s line which, as an audience member, makes me feel quite uncomfortable and not totally trusting of the actors on stage. I can’t be taken on a journey or invest in something completely if I’m not trusting of the people I’m watching. However, this play could be brilliant with a bit more of a run. Perhaps they just needed a few more previews and I’m sure they’ll settle into it within a week.